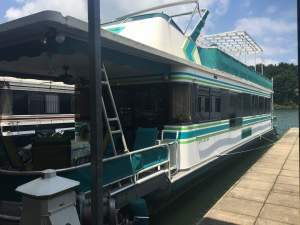 Houseboat was rebuilt in 2009. New Hull, New Wiring, All New Plumbing, New Interior, Handcrafted Cabinets, New Windows & Doors. 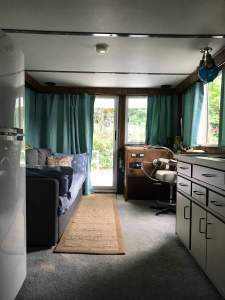 Very Well Insulated. 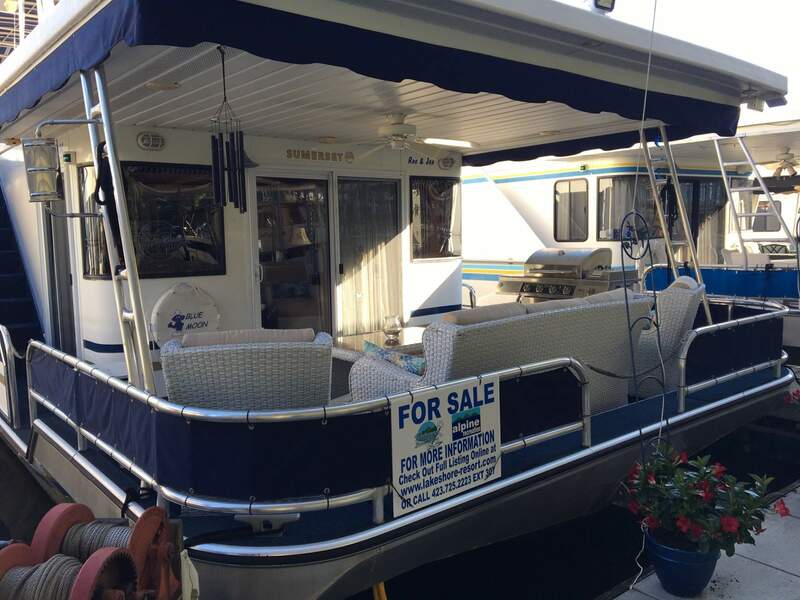 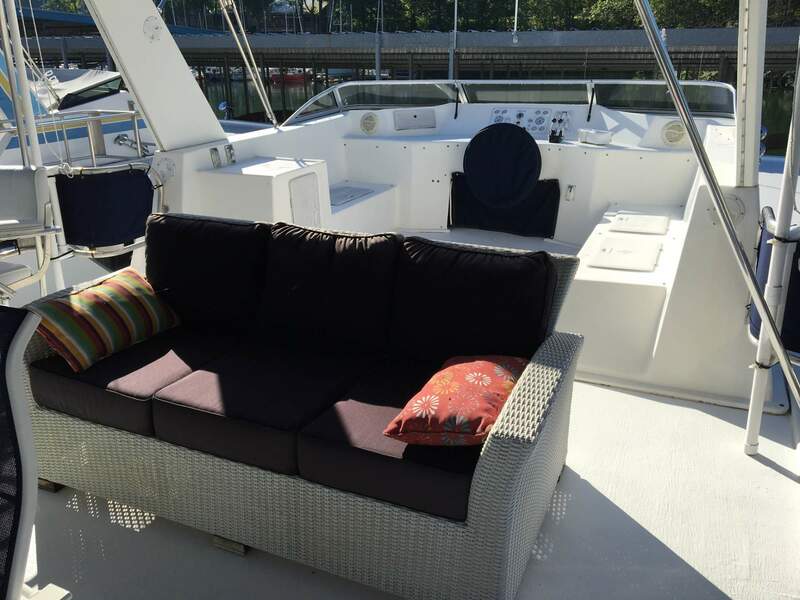 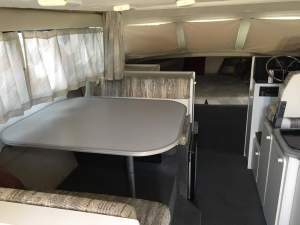 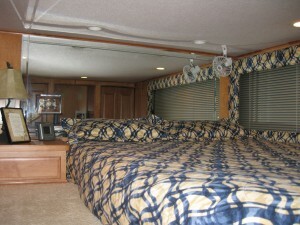 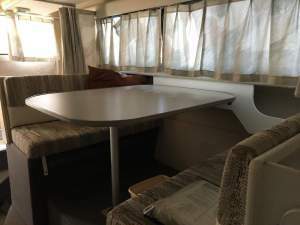 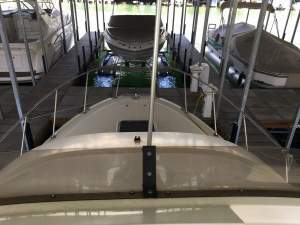 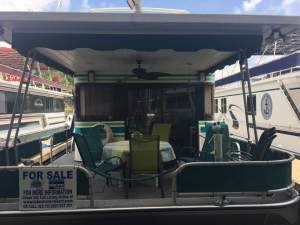 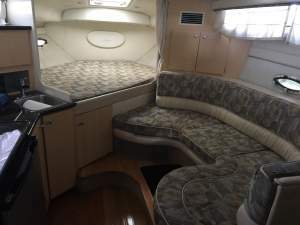 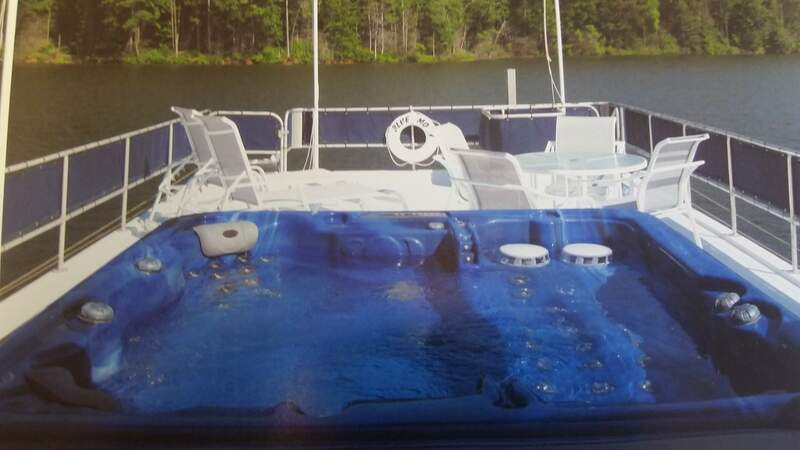 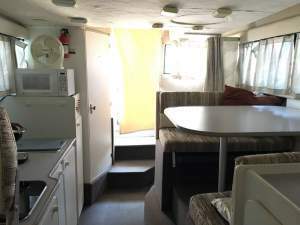 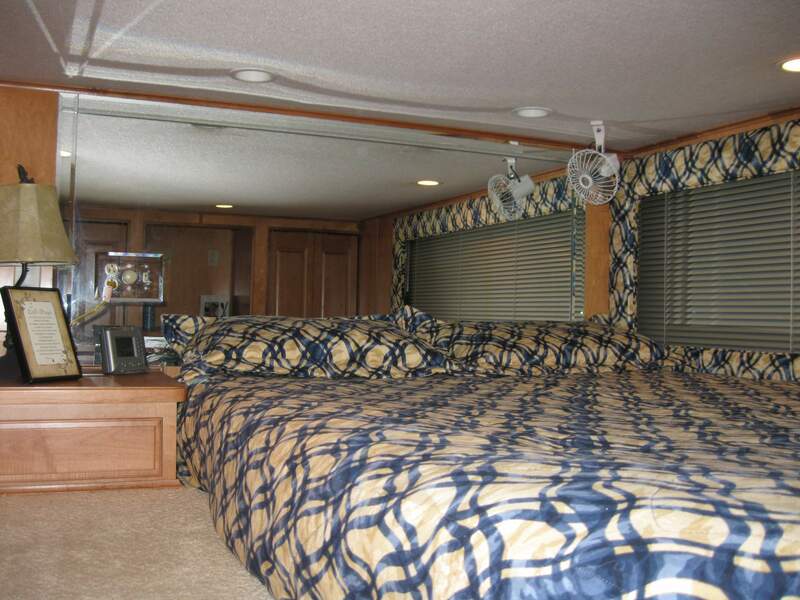 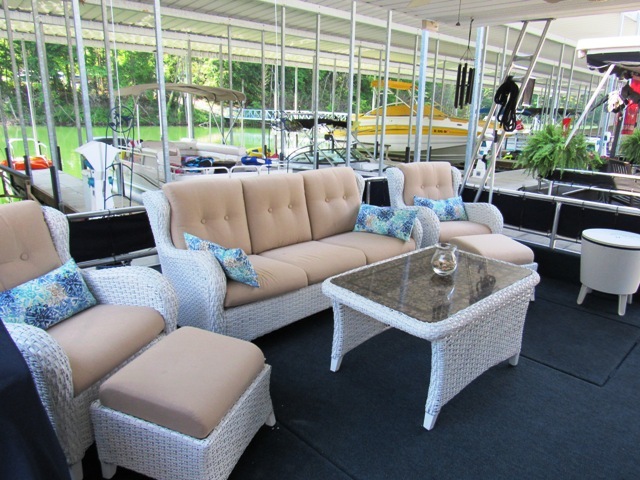 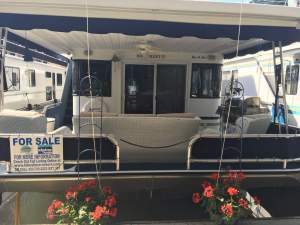 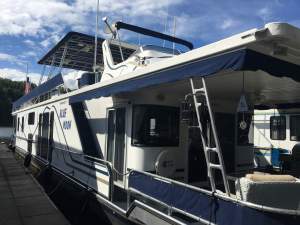 This 2001 75 foot Sumerset offers a “Wide Body” style with a 16′ beam. 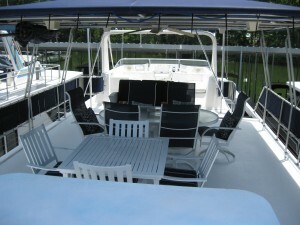 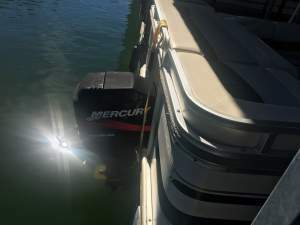 The boat is equipped with twin 135 HP Mercruisers and a 15.0 Westerbeke Generator. 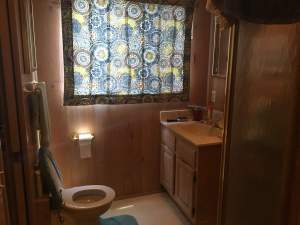 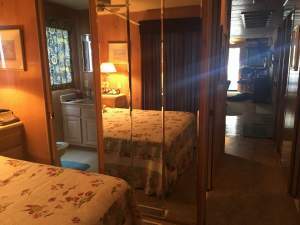 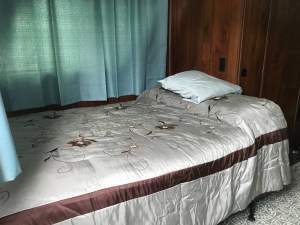 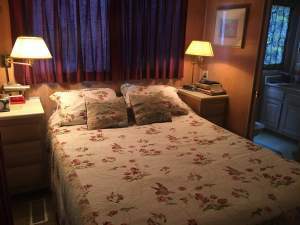 There are three bedrooms with two bathrooms. 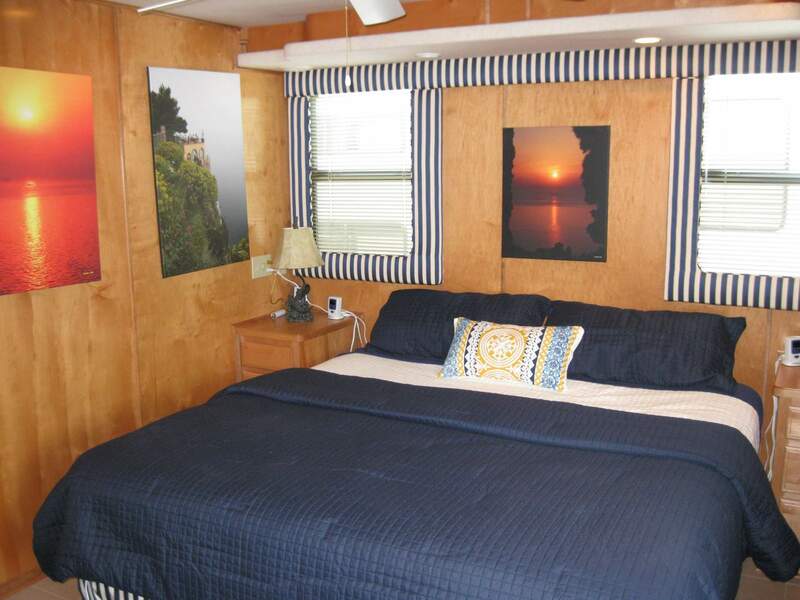 The master suite offers a king bed and private bath with access to the rear porch through a sliding glass door. 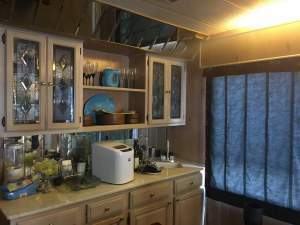 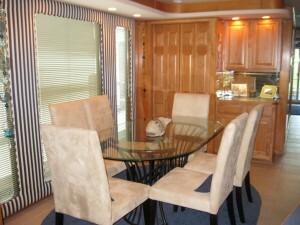 There is central heat and air throughout the houseboat. 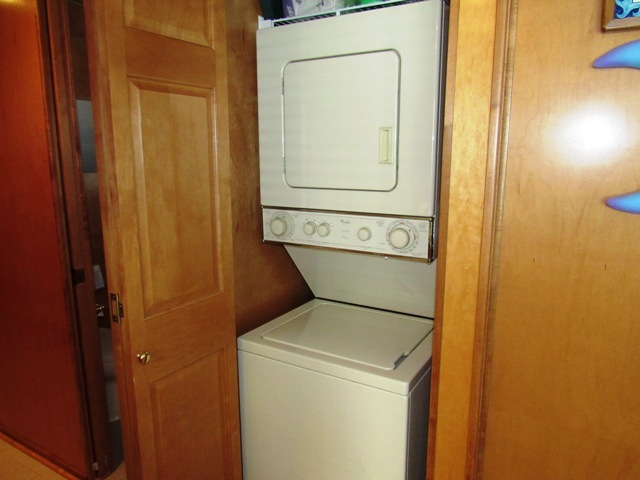 A new 3 T heatpump was installed in the Fall of 2015. 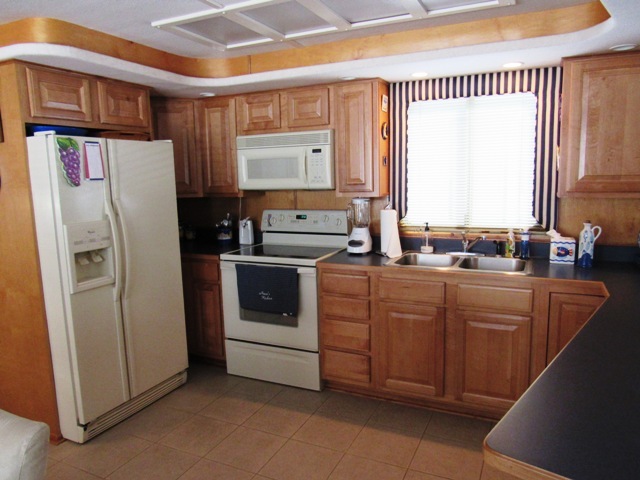 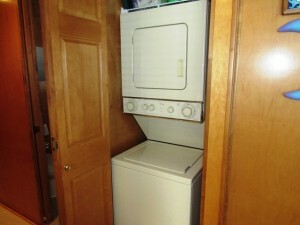 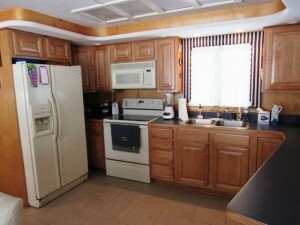 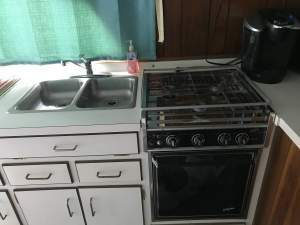 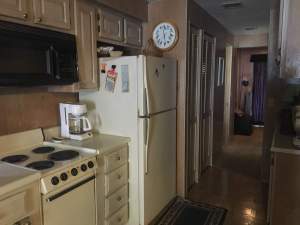 The kitchen is fully equipped with full size double door refrigerator, stove, dishwasher, and mounted microwave. 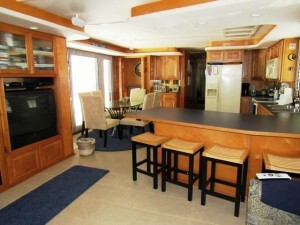 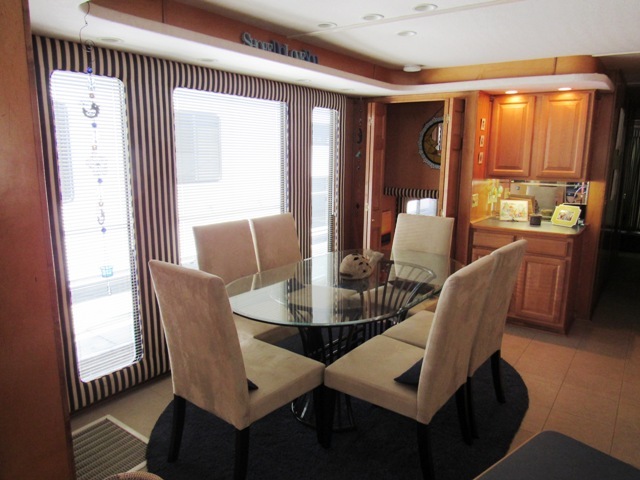 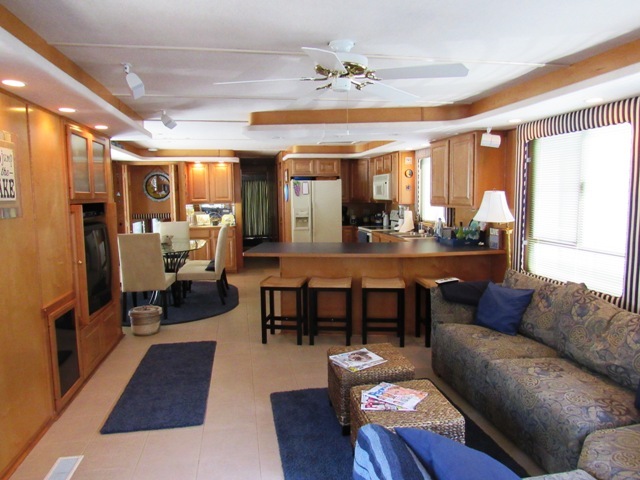 The spacious island offers seating for four and is perfect for entertaining. 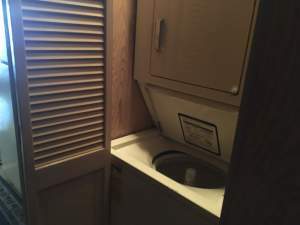 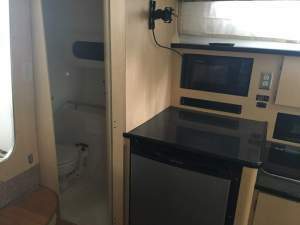 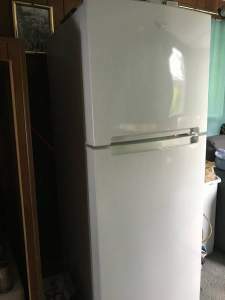 All of the furniture is included. 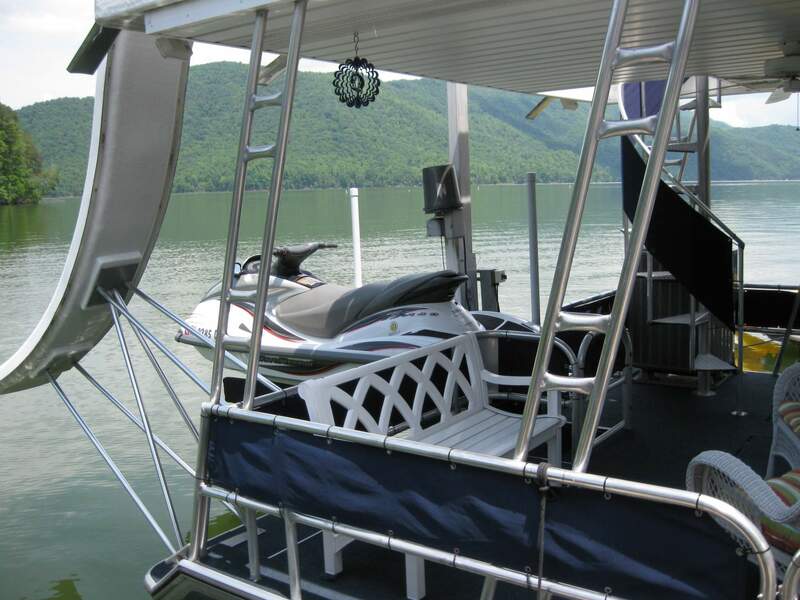 This houseboat offers a Jet Ski lift on the back. 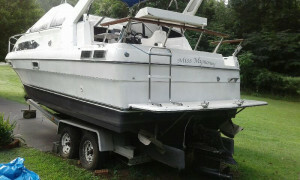 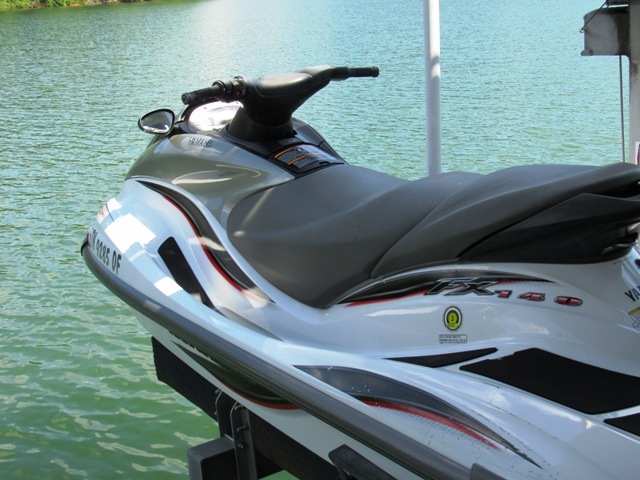 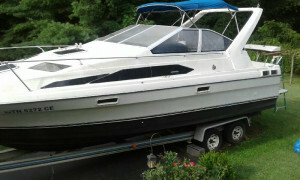 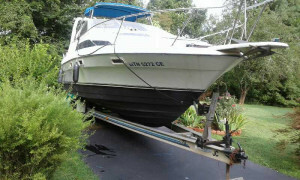 The 2002 Yamaha Jet Ski on the boat is included in the asking price along with a trailer. 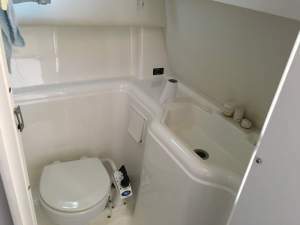 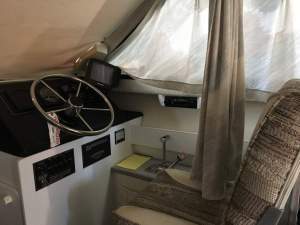 The houseboat was pulled out in 2014 and there are pictures available of the hull. 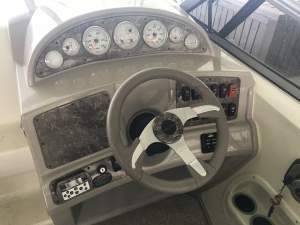 The outdrives were completely serviced in 2014. The top deck offers beautiful furniture, flybridge, slide off top deck, and a Clearwater Hot Tub (pump was replaced in Fall 2015). 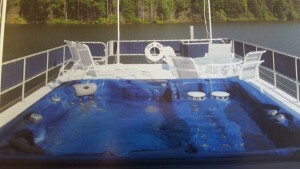 Hot Tub Cover was replaced in Spring of 2018. 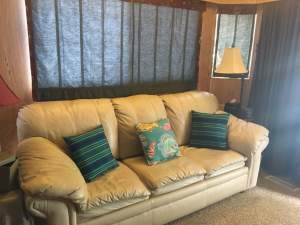 New cushions replaced in 2018. 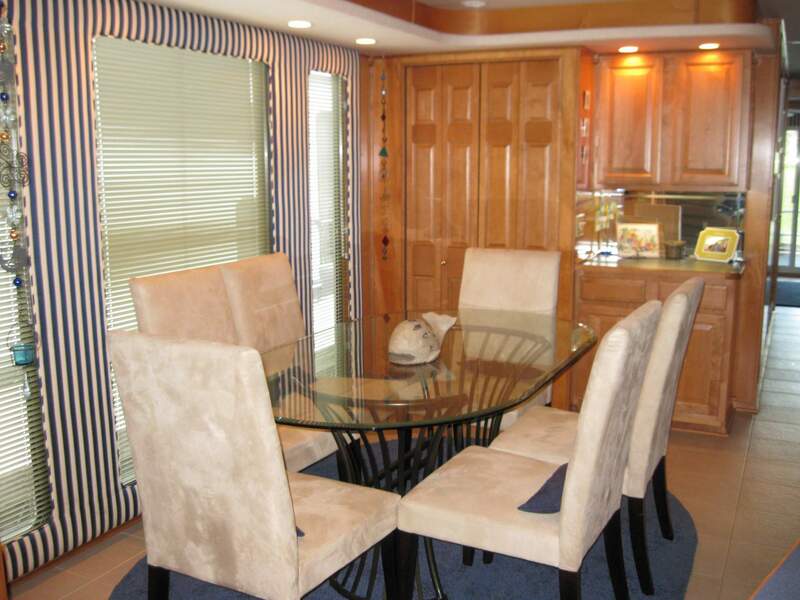 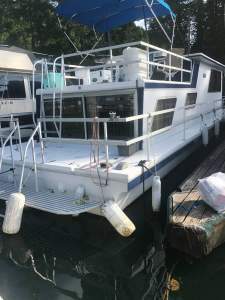 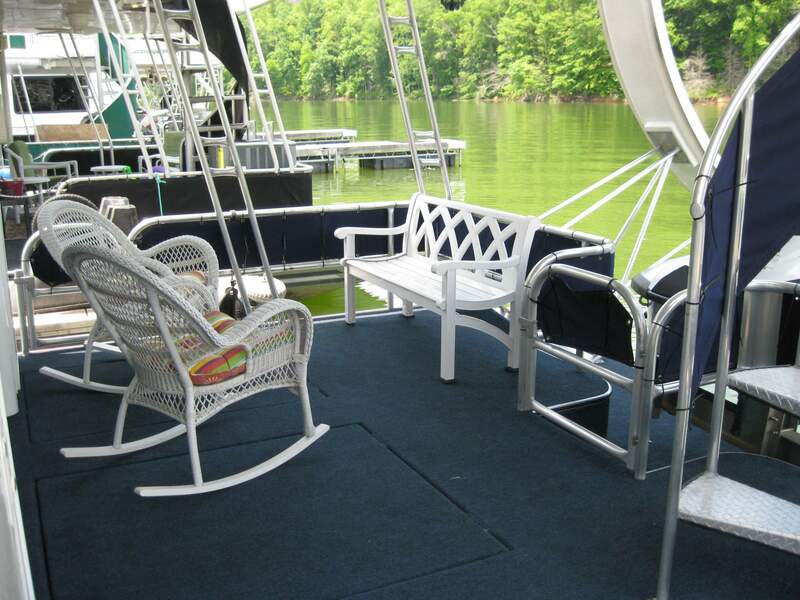 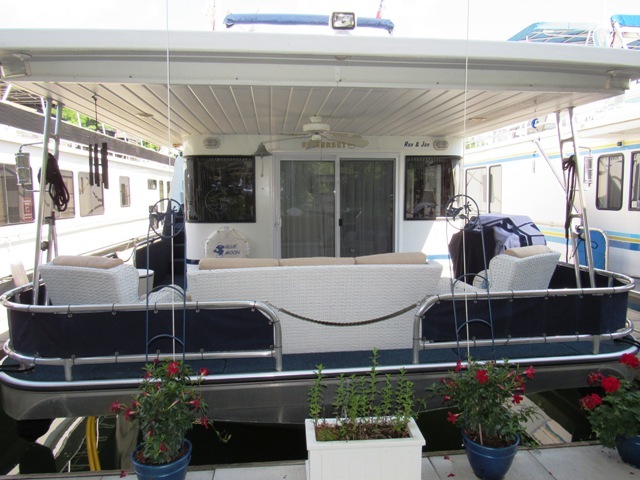 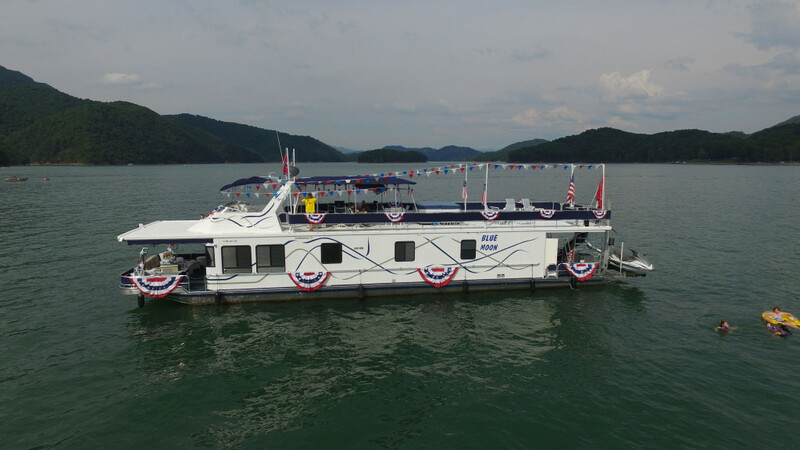 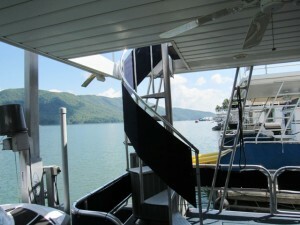 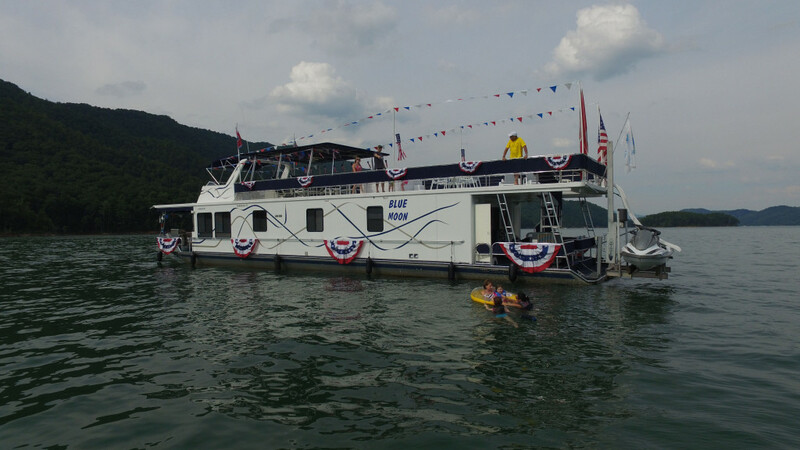 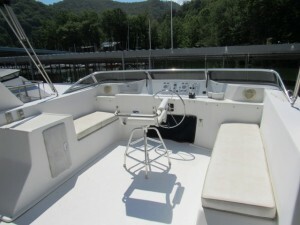 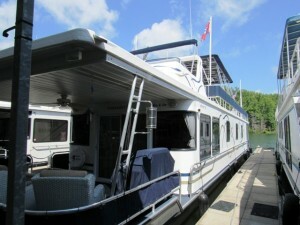 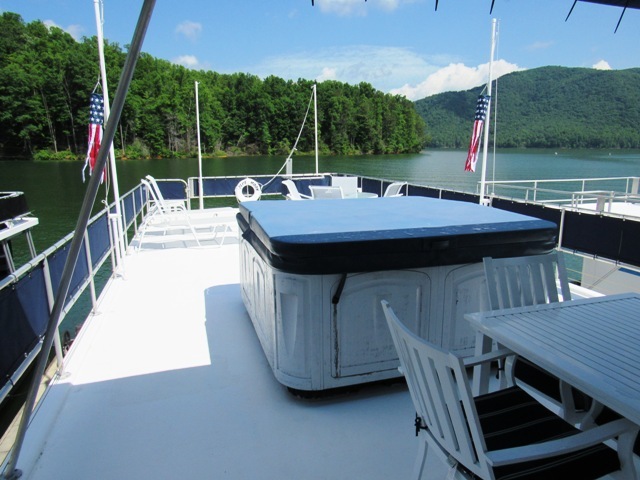 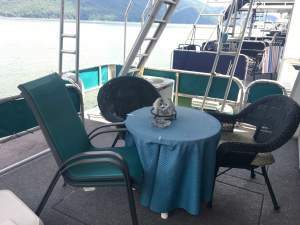 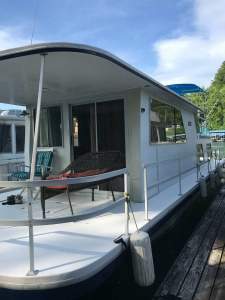 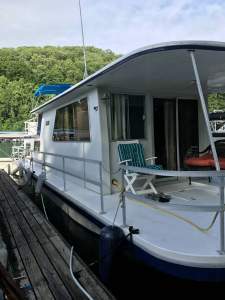 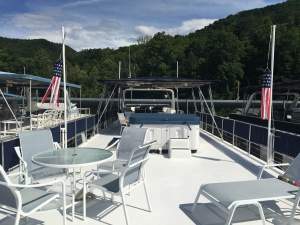 For more information about this beautiful houseboat or to schedule a tour, please call 423.725.2201 EXT 307. 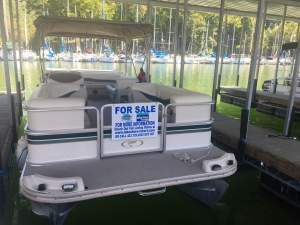 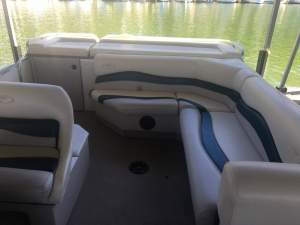 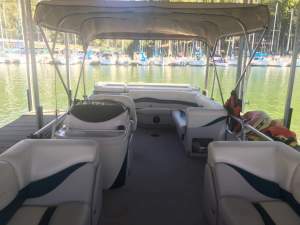 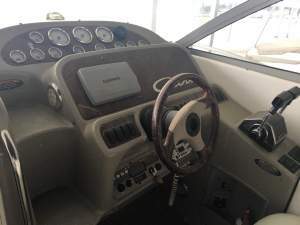 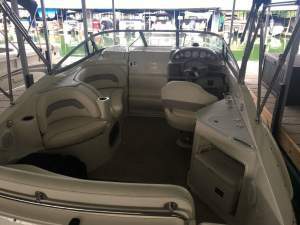 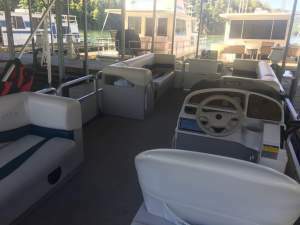 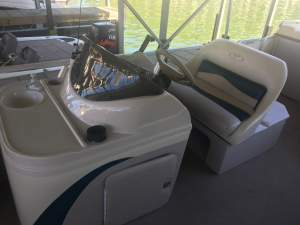 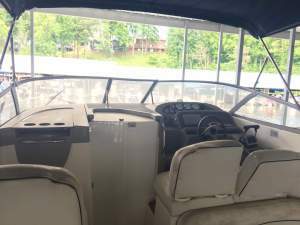 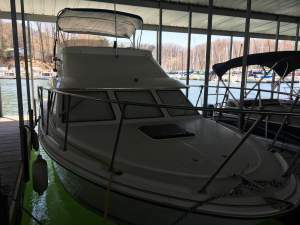 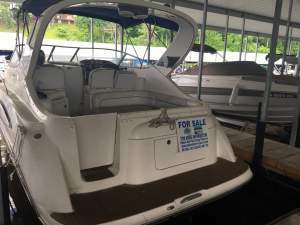 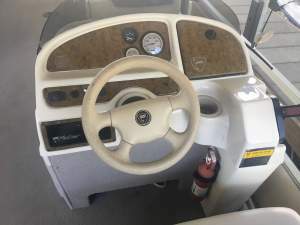 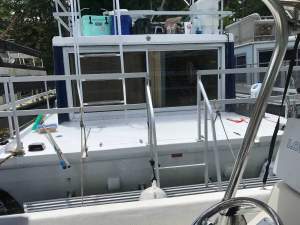 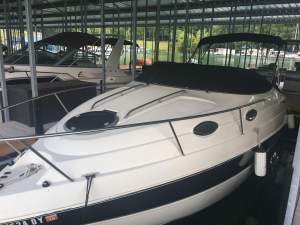 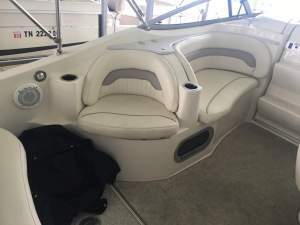 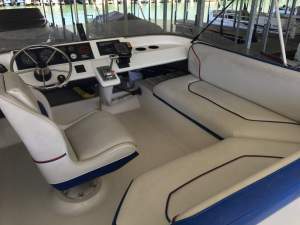 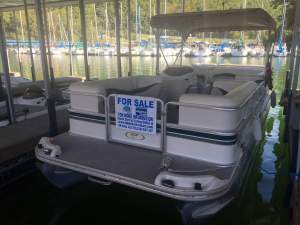 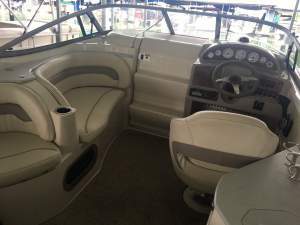 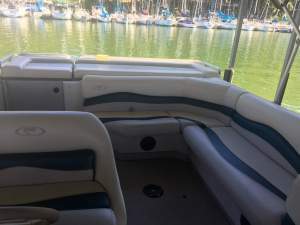 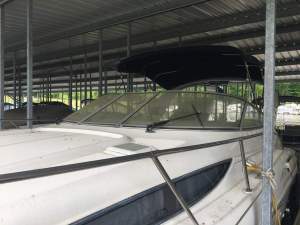 INFORMATION ON THE VESSEL IS BELIEVED TO BE CORRECT, HOWEVER WATAUGA LAKESHORE MARINA, INC. dba ALPINE RECREATION BOAT SALES OFFERS SUCH INFORMATION IN GOOD FAITH, BUT DOES NOT AND CANNOT GUARANTEE THE ACCURACY OF THE INFORMATION. 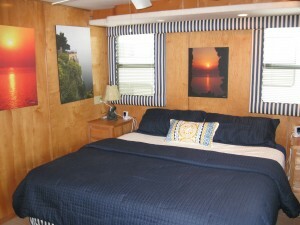 Full Camper Canvas Included. 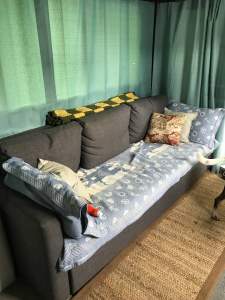 Kept Under Covered Slip. 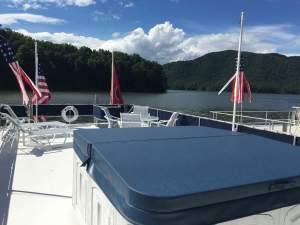 For more information or to schedule a tour, please call 423-725-2201 EXT 307.